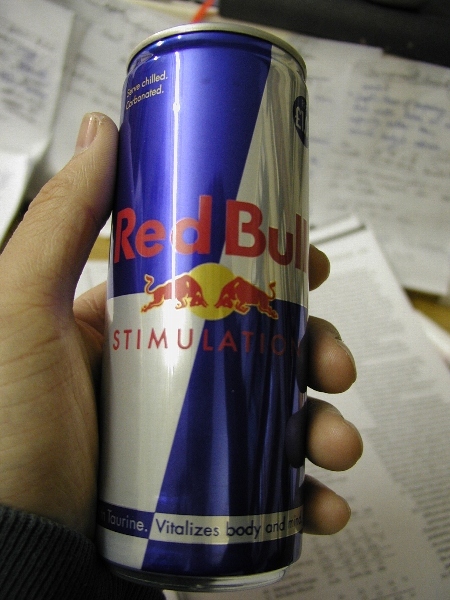 This is my ex-girlfriend Ms. Red Bull. I thought it's not very healthy. When I switched to Coffee, she was rather angry.